This itinerary is perfect for families with teenage children. Having 2 teenagers myself, I feel I have an insight into their requirements and understand their need for privacy and space, which is why this family safari is the perfect combination in Victoria Falls and Hwange. The Victoria Falls Safari Lodge offers spacious and luxurious accommodation and the perfect base to explore Victoria Falls from. The Private Hide is fantastic for a family with their private vehicles and guides, giving you freedom as a family to do as you please each day. Arrive in Victoria Falls where you will be met by Wild Horizons who will transfer you by road to the Victoria Falls Safari Suites where you will be spending three nights on a bed and breakfast basis. Tour of Victoria Falls and lunch at the Lookout Cafe. Victoria Falls Safari Suites is ideal for families, as there is a lovely lounge area opening out onto patio, overlooking a little waterhole, that attracts bushbuck, warthogs and a wide variety of birds. 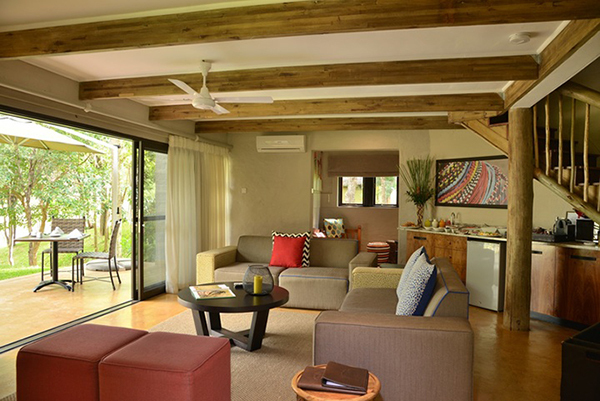 Each Lodge has been fitted out with LCD Television with satellite TV in the lounge area and TV lounge area. Inclusive is a courtesy mini-bar refrigerator, tea and coffee making facilities and a Nespresso machine. 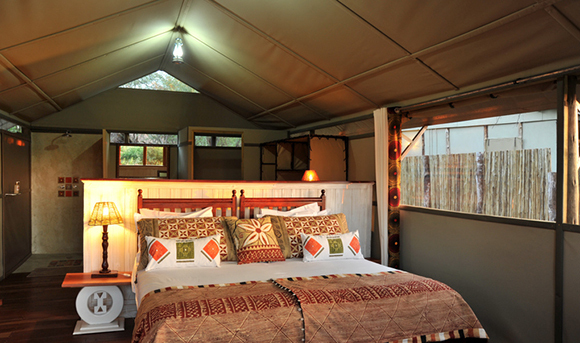 The lodges are equipped with air conditioning, ceiling fans and mosquito nets. On your fourth day, you will check out of the Victoria Falls Safari Suites and take a road transfer to Hwange National Park entrance (approximate driving time 2 hours), where The Hide will meet you for a combined transfer and game drive into camp. The drive will take approximately one and half hours depending what game is seen along the way. The Private Hide or Tom’s the Little Hide is perfect for families. 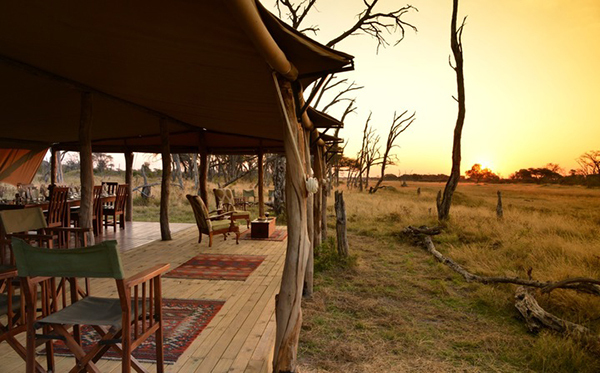 You will stay here for three nights and all meals, drinks, National Park fees and Conservation fees are included. 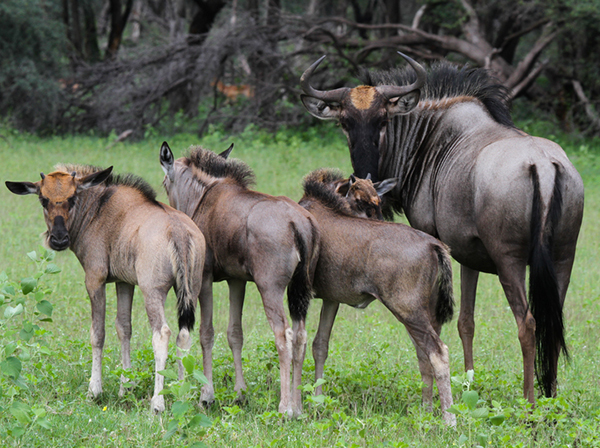 What you will love about Private Hide is that you will have your own private guide and vehicle. Along with your own private plunge pool and private dining. They can take a maximum of 10 guests – comprising of 6 adults + 2 children. All ages are welcome here. 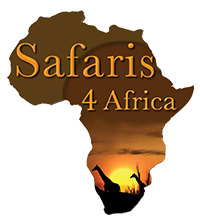 They offer 4 activities/excursions per day which include game drives, walking, visits to community projects and conservation initiatives. There is also access to the underground Hide at the waterhole. Tom’s Little Hide is also based on a private basis, like Private Hide. There are 3 large adjacent rooms, all en-suite and have a wonderful view across the waterhole. Tom’s was built as a tribute to Tom Preston who first built The Hide. Road transfer from Hwange National Park to Victoria Falls International Airport in time for your flight.